LumArray, Inc. offers Micro- & Nanofabrication Services to academic, non-profit, commercial and defense customers. Examples of items produced for clients and products currently offered, are illustrated below. LumArray provides free-standing gratings of 100 nm spatial period in silicon nitride for spectroscopy and analysis of neutral-atom beams, molecular beams and EUV sources. 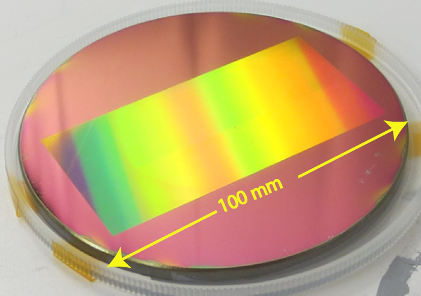 The 100 nm pitch is achieved with our unique, in-house Achromatic-Interference Lithography (AIL) system, described under Technology. 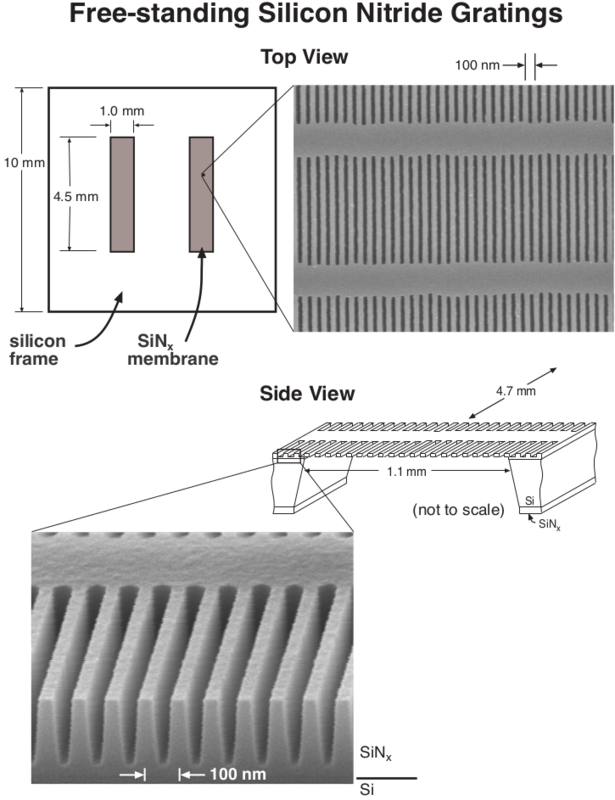 Sketch and micrographs of free-standing gratings of 100 nm spatial period, etched in silion nitride membranes. LumArray provides such gratings to researchers around the world for spectroscopy of EUV sources as well as neutral atom and molecular beams. Gratings for synchrotron and free-electron-laser (FEL) facilities are ideally fabricated on thick, rigid substrates of high thermal conductivity in order to minimize distortions. Linear as well as variable line-space gratings, and gratings with curved lines for focusing, are of interest. The constituent grating lines must exhibit nanometer-level placement accuracy. Under a grant from the US Department of Energy, which extends through December 2019, LumArray has developed technologies to meet these stringent requirements and incorporated them into our ZP-150 maskless photolithography tool, described under Technology. Photograph of a grating, with 600 lines per mm, written on a thick silicon substrate using LumArray’s in-house ZP-150 system. The multicolor diffraction pattern is the result of illumination by overhead fluorescent lights. Fresnel zone plates, such as illustrated below, and other customized focusing optics, with spatial periods down to 200 nm can be provided on special order. A pi-phase Fresnel zone plate in the spin-on glass hydrogen silsesquioxane (HSQ), exposed using LumArray’s in-house scanning-electron-beam lithography system. LumArray will provide custom holograms written in photoresist from GDS files provided by clients. Conversion of the written hologram into an electroplated template, or a template etched into a solid substrate, is also available. (Left) custom LumAray hologram; (right) a central section of the circular elements with 0.4 micron features written on LumArray’s ZP-150 system. Using our unique achromatic Interference lithography (AIL) system, combined with reactive-ion etching of aluminum, LumArray will develop wire-grid polarizers of 100 nm spatial period. These polarizers promise to be lighter, more compact and resilient than conventional products. Based on client-provided GDS files, LumArray will provide photomasks etched into standard chromium-coated glass blanks. Based on design data provided by clients, LumArray can fabricate a wide variety of imprint molds. Two examples are shown below. (left) Electron micrograph of an array of inverted pyramids etched anisotropically in silicon. (right) Posts etched in silicon. In both cases the spatial period is 100 nm, achieved using LumArray’s unique Achromatic Interference Lithography (AIL). 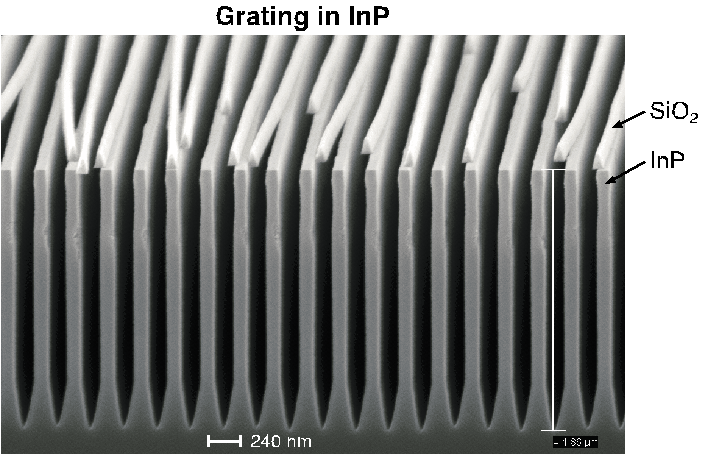 The following micrographs show a grating etched in InP as part of a DFB laser program, and ring-resonator filter patterns, exposed using LumArray’s ZP-150 maskless photolithography system. Scanning electron micrograph of a 240 nm-period grating etched 1.9 microns deep into InP, as part of a DFB laser program. Note the remnants of the SiO2 hard mask above the etched structure. 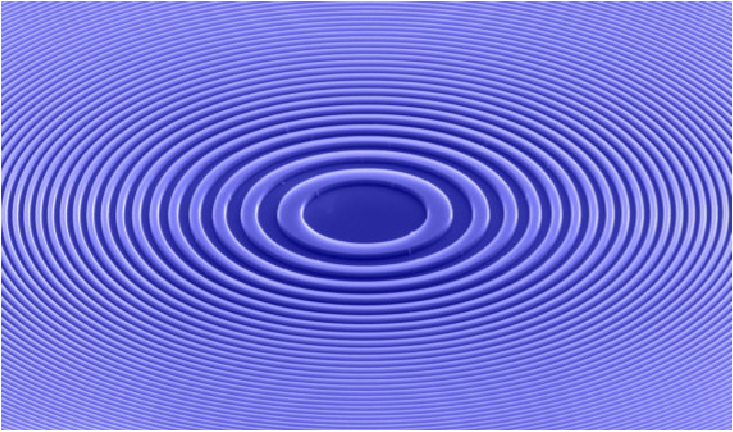 Optical micrographs of second-order ring-resonator patterns written in photoresist using LumArray’s ZP-150 maskless photolithography system: (top) an array or ring resonators coupled to waveguides forming a Mach-Zehnder interferometer. 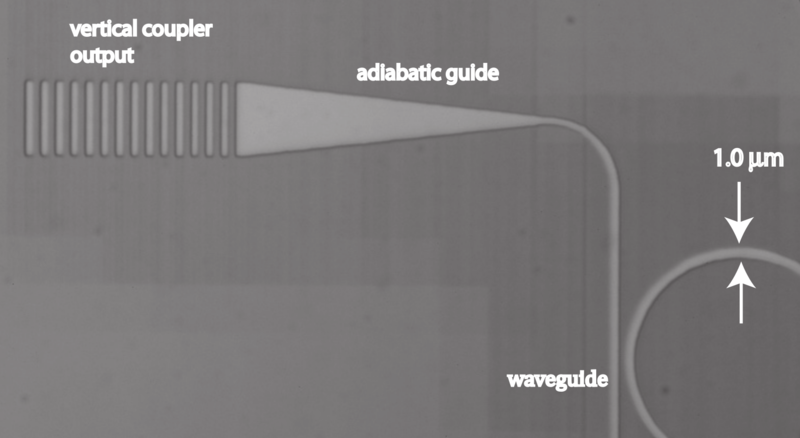 (bottom) Higher magnification of one of the ring resonators, the waveguide to which it coupled and the output vertical coupler. LumArray is particularly interested in collaborating on the fabrication and manufacture of structures and devices for the local biotech industry. The following micrograph, fabricated for a client, shows an array of holes in thin-film gold, forming a plasmonic structure on which macromolecules of interest to biotech produce distinctive signals. 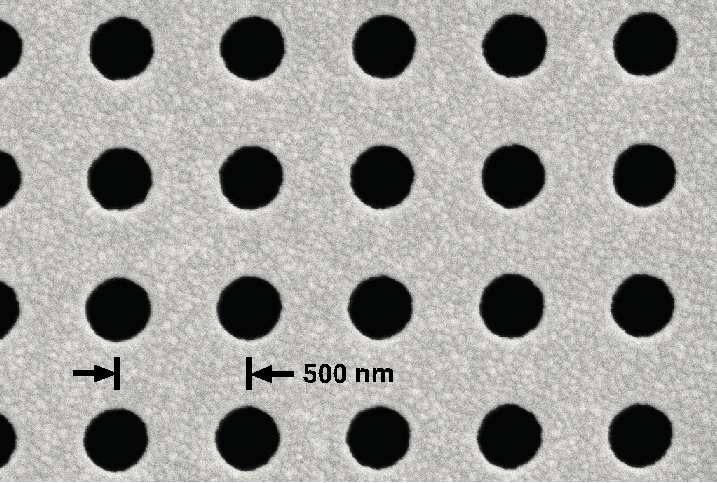 Micrograph of a grid of holes, on 500 nm pitch, in a 100 nm-thick Au film on an 100 nm-thick silicon-nitride membrane, forming a plasmonic array on which macromolecules of interest to biotech produce characteristic signatures.